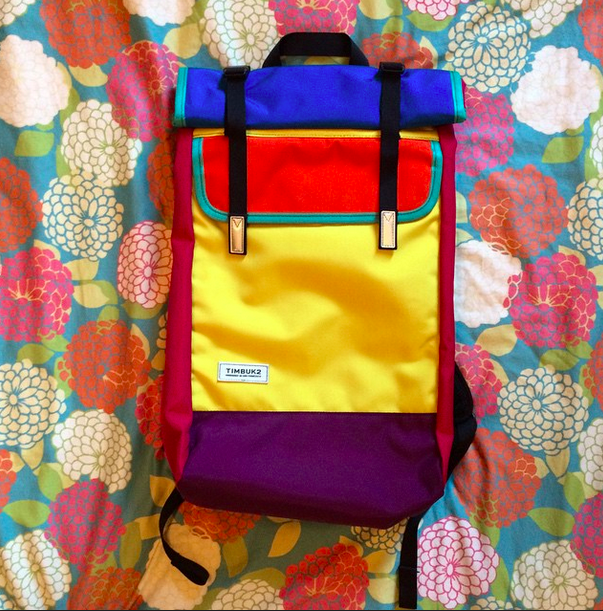 I recently designed a really colorful backpack at the TImbuk2 store in Hayes Valley. It’s exceptionally badass if I do say so myself. I got a voicemail when it was ready to be picked up, and when I went in the girl working there told me if I hadn’t shown she would have kept it for herself. But that’s beside the point. Because my colorful backpack isn’t really about having a cool thing, it’s about seizing on an opportunity to inject joy into my life. Yeah, I know how that sounds, but I’m serious. This is a philosophy that I’ve learned to run with over the years. I’m all about finding little ways to make myself happy. For me, that often involves integrating more color into my life. (I had to stop watching Game of Thrones because there was too much grey and I just got bored of it). I don’t shy away from dressing in somewhat ridiculous color schemes that one might find at Gymboree. (I often find myself envious of children’s outfits. Seriously, we had it right in ’95). And I usually receive the most compliments from strangers when I do so. I have a cotton dress from Nooworks that looks like it would fit right in on the Magical Mystery Tour album cover. It never fails to bring smiles (and sometimes bewilderment) to those around me. I love that. Another gem that never fails to make me happy is this water bottle. It’s all about finding joy in the details. The first time I listened to Death Cab for Cutie I was 12. The O.C. Mix 1 began my musical education with the kind of indie bands that spoke ever so lovingly to the isolating feelings of entering teenagerhood. I took my pink iPod mini with me everywhere the summer I turned 13, and for the first time gave my life a soundtrack. This was only the beginning. It was around 16 when I first saw a Coachella lineup. Death Cab was listed, along with most of the other bands I was listening to at the time. 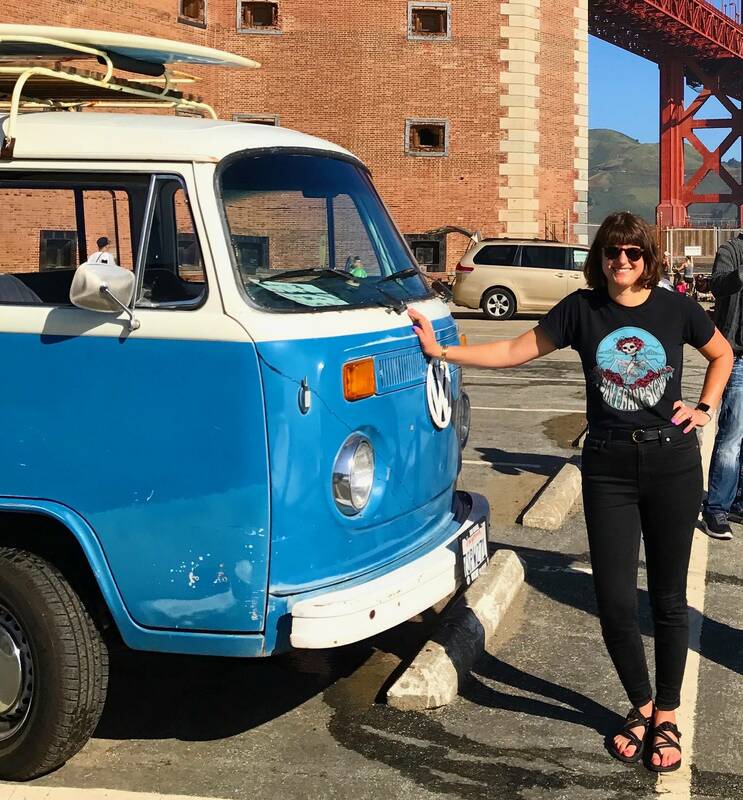 I didn’t know much about California beyond the wonders of Sea World, but I knew they were getting something right if something existed where you could see all the music you loved in one place. And I wanted to be there. My live music experience in Upstate New York was limited to a few outdoor amphitheater Dave Matthews shows, and one 18+ John Browns Body show for which I strategically convinced a stranger to vouch as my mother so I could get in. I knew I couldn’t stay somewhere with such limited access to music. I was 21 when I first saw Ben Gibbard play live. 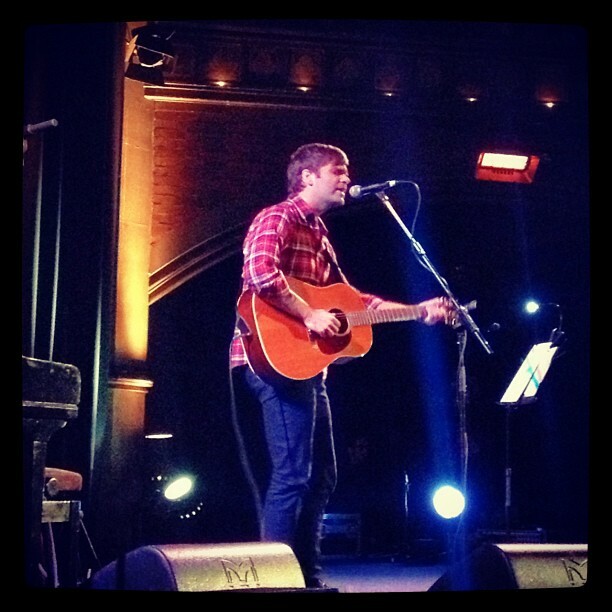 He played an all-acoustic set in a beautiful church venue called Union Chapel in Islington. None of my friends had been excited by the idea, so for the first time I went to a show alone. I got there early and sat in the second row, listening to an episode of This American Life about what happened to military Dogs after WWII (or was it WWI?) until the show started. I started weeping with joy as soon as he started playing, and I knew the words to every song he played. It was magical. I went on to see The Postal Service play that April at Coachella. I sat behind the Greek in Berkeley with friends to listen to them play for free a few months later. When Death Cab came to town last August, Lina and I saw them play at The Independent. We saw them again the following day at Outside Lands. We’re flying down to see them play their new album at the Hollywood Bowl this July. Ben Gibbard really never gets old. I might say that Death Cab is to me what the Beatles were to my dad, but the Beatles are arguably the other greatest musical influence in my life. Death Cab has been there for me in my most formative years, and grown with me on my journey towards adulthood. This NPR article hits the nail on the head describing the impact Death Cab has had on a generation, and I encourage you to read it. I suggest taking a listen to their new album. You never know what might strike a chord with you, wherever in your journey you may be.